E-insurance has become very common place in India in recent time. This is a form of insurance that works with a digital and electronic setup in mind. With India constantly going after digitalization, it is no surprise that electronic services relating to insurance have become popular just as well. It helps to take a look at what E-insurance is all about and how it may be to one’s benefit for a number of financial considerations. You may be surprised at how well it can work for your financial needs. As you use e-insurance, you will have an easier time with keeping your insurance plans under control. Best of all, you will find that it’s not too tough to apply a great insurance policy without problems over how it works. E-insurance is precisely what it sounds like it is. This is a form of insurance that you will manage electronically. It is supported by various prominent entities including the Insurance Regulatory and Development Authority plus the National Insurance Policy Repository among others. 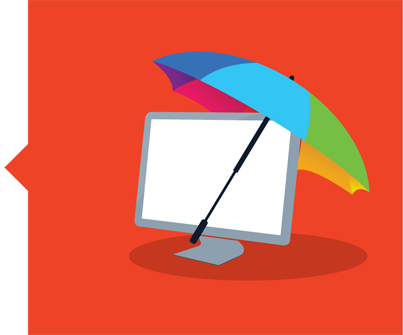 You can work with many forms of insurance in your E-insurance account. These include your life and health insurance policies as well as any annuities you hold. You can get service requests taken care of online as well. The simplicity of the online world is prevalent with this particular solution. It is easier for you to access your insurance information thanks to this solution. Everything you have is clearly organized and accessible at any time you need it. You can download your policy documents at any time. They can be found as PDFs that are easy to read on any device and can be quickly sent out. You can get all your updates to your accounts handled online. This works better than having to visit a traditional branch. You may still be subject to waiting a few business days for your plan to go through. Any payments or claims on your policy may be handled online. You can easily get funds managed online without problems to give yourself more control over how payments are to be made. This setup should not be hard to use. It makes for a smarter approach that is not too complicated. It especially gives off a great appeal for managing your policies without being harder to follow than it has to be. It should be checked properly to get the most out of whatever you want to use. To sign up to use e-insurance services, you will have to contact your insurance company for help. Proper forms have to be filed while you must use the proper KYC verification forms. The standards will vary based on the plans you hold for getting it all to work through your provider. Added account numbers can be included in your policy. You must specify what you want to use when getting your account ready so you will have more control over what you are using. This is needed so it won’t be too hard to manage anything you have to work with. Although you can get many account numbers for different beneficiaries and needs managed online, you can only work with one particular e-insurance account. This account can be linked to the various numbers you plan on using. Be sure when getting it to work that you watch for how you’re going to apply it in any case. The accounts that you add to this can include anything that entails all the policies you hold. Regardless of whatever it is you apply, you will find that it is not too hard to get the most out of a proper account when used well enough. Still, you should at least think carefully when it comes to finding a solution that fits your demands and isn’t all that tough to manage or use. Many people around India only have paper documents to work with when it comes to handling their insurance needs. You can always get your documents transferred to a digital format if needed. You may contact your insurance provider for help with this process. This might take an extra bit of time due to the processing and scanning required but it will be worthwhile. It simply improves upon how easy it is for you to handle your insurance documents. The development of e-insurance is an intriguing point worth watching for. Be sure to see how e-insurance could make a difference when it comes to handling the documents you hold and getting them taken care of in an appropriate manner. Be sure to take a look at this plan if you’re aiming to get the most out of your insurance demands.